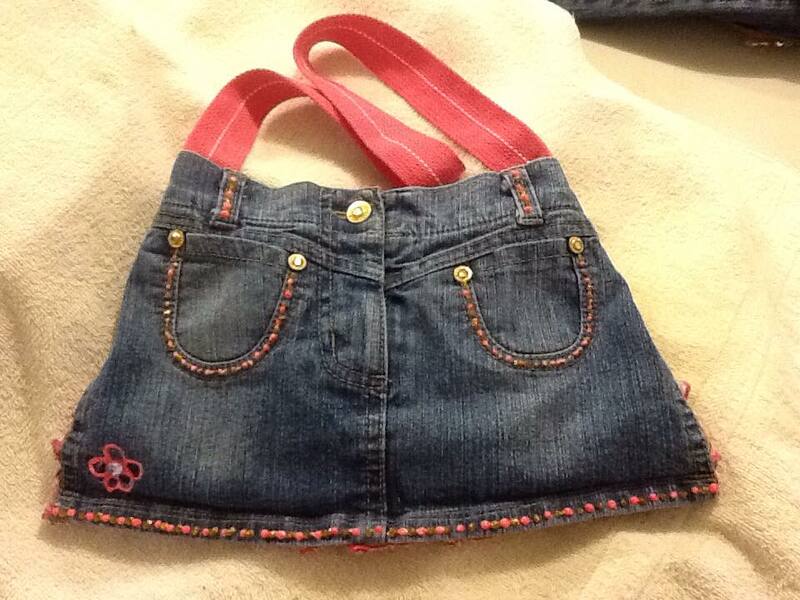 Small Footprint Purses are made from repurposed clothing and other accessories. 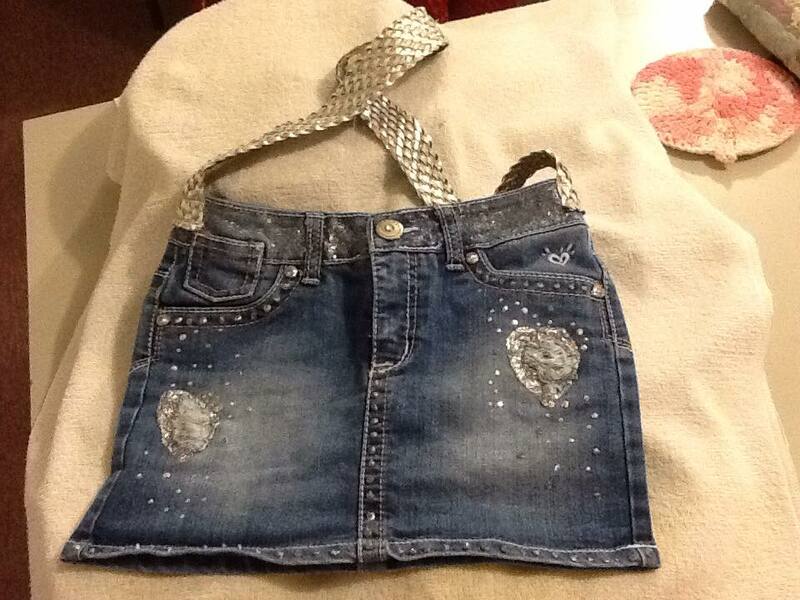 Each purse is $10, unless otherwise marked. Click image for larger version. 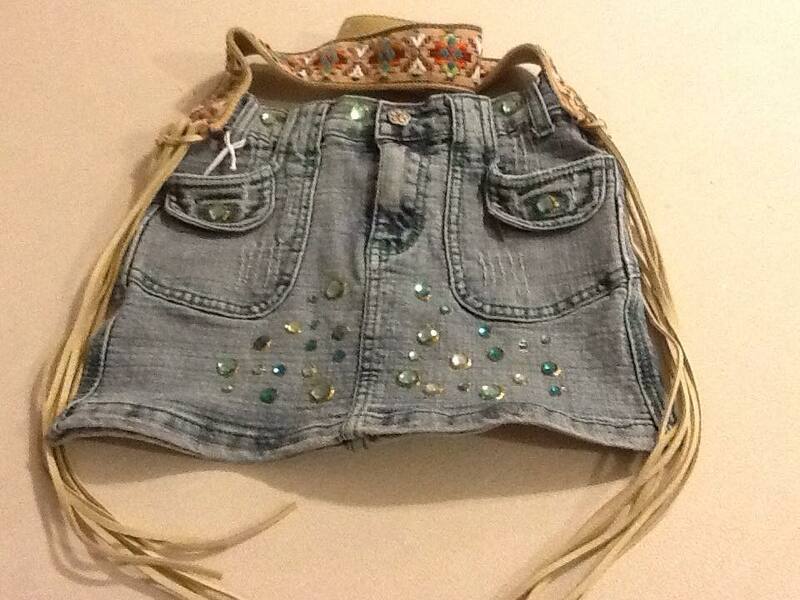 E-mail here to inquire about a purse. 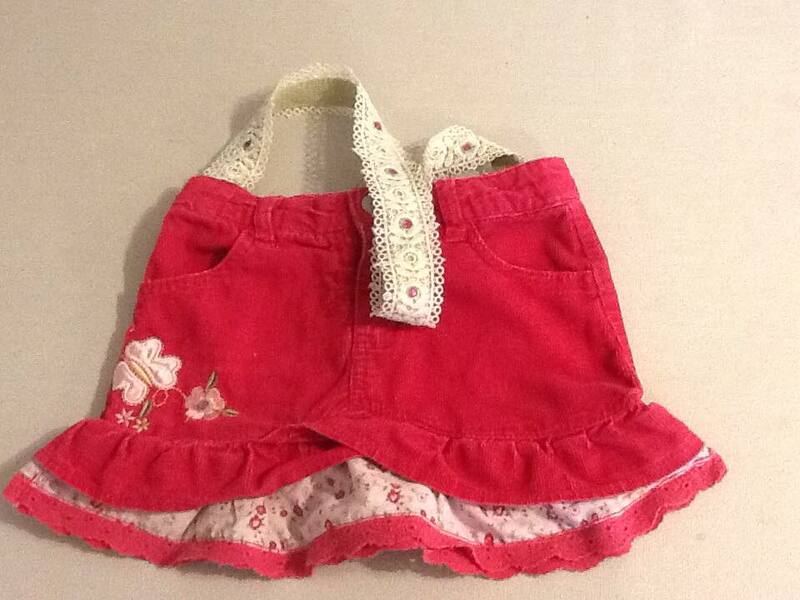 Remember to include the item number and name! KICKIN’ IN PINK: Pink corduroy with gem adorned lace strap. Measures 9 1/2 x 12 1/2. 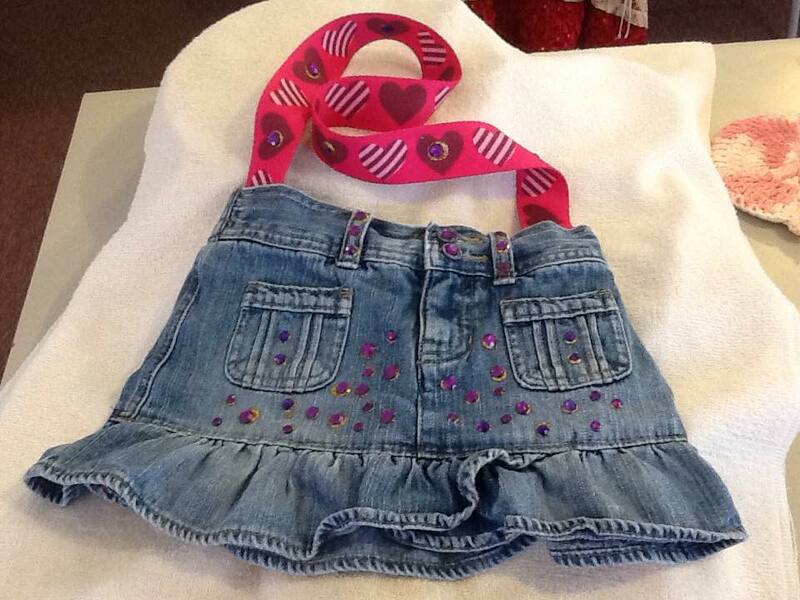 PURPLE HEARTS: Denim with purple gems and heart strap. Measures 9 x 14. 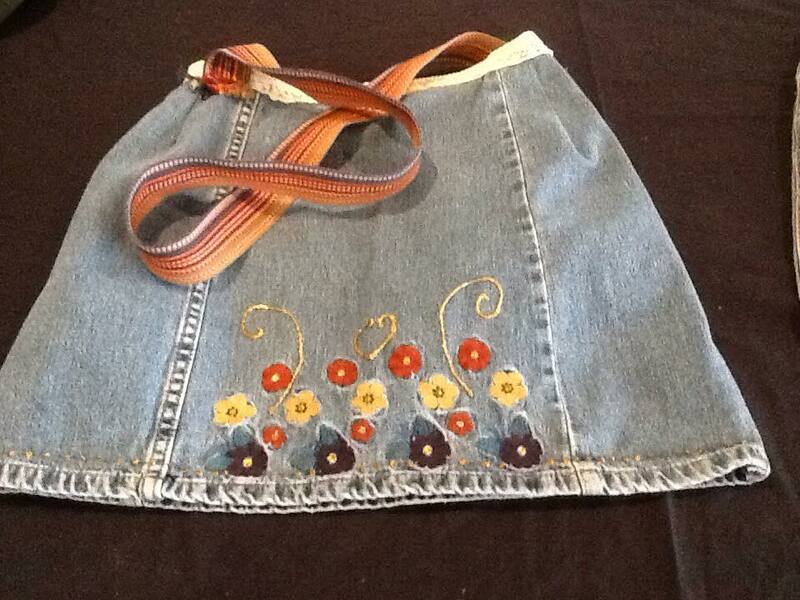 POPPY GARDEN: Denim with multi-colored woven strap. Measures 14 x 18. 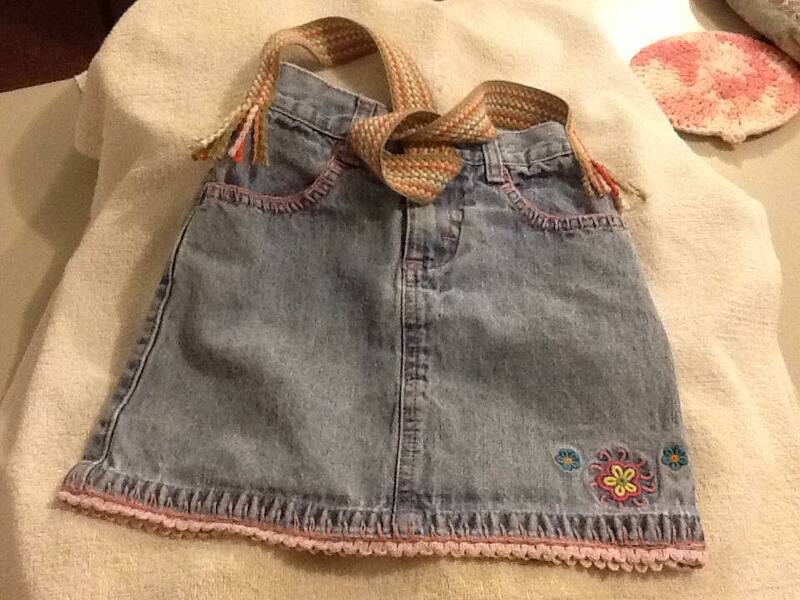 A SOFT PINK FEELING: Denim with pink crochet and woven strap. Measures 12 x 15. 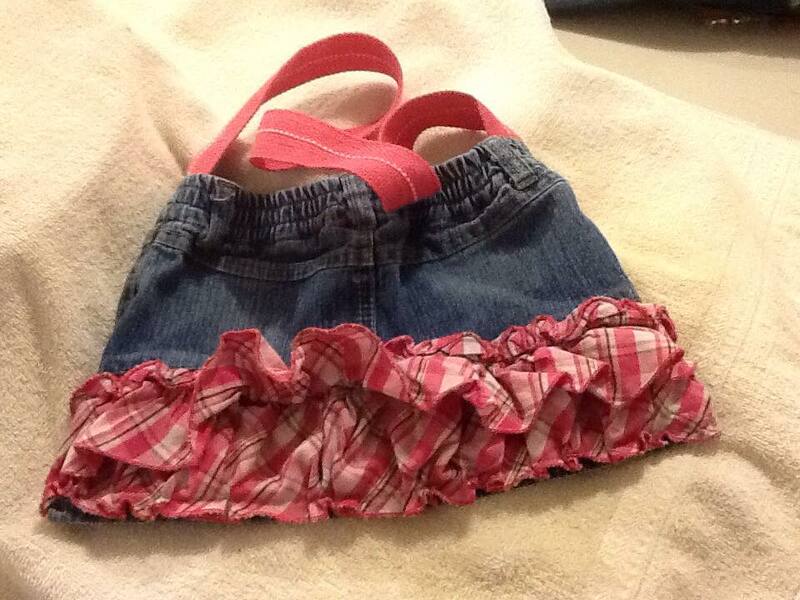 FRILLY IN PINK: Denim with pink trim and ruffled back and woven strap. Measures 8 x 13. 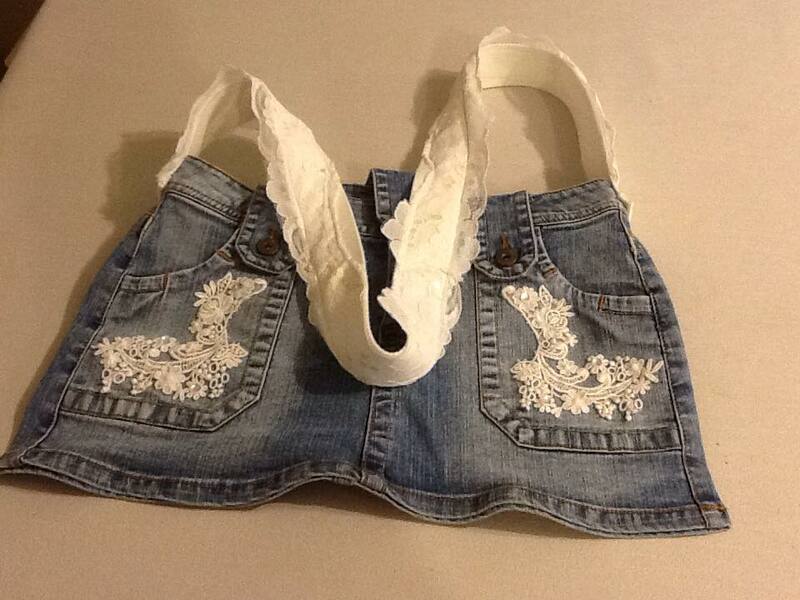 I DO: Denim adorned with wedding lace and strap. Measures 11×18. 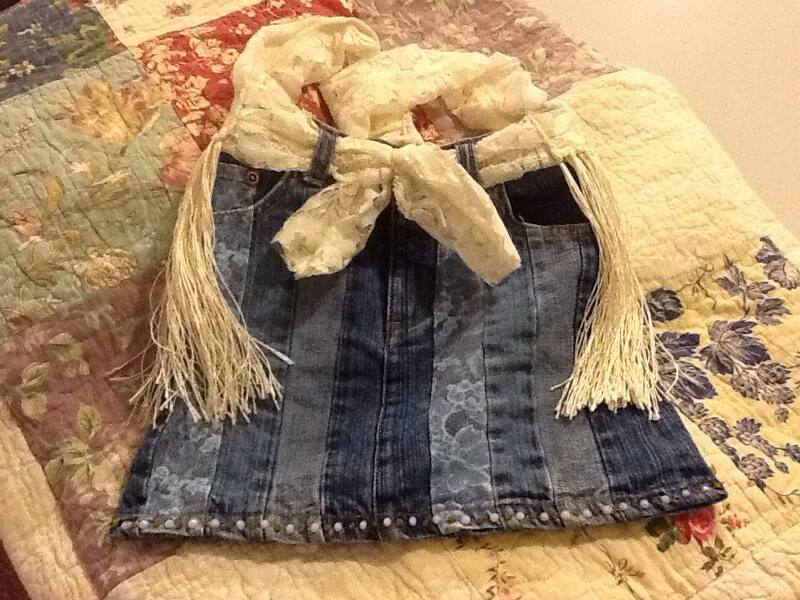 DENIM & LACE: Lace trim and strap with tassels. Measures 11 x 13. 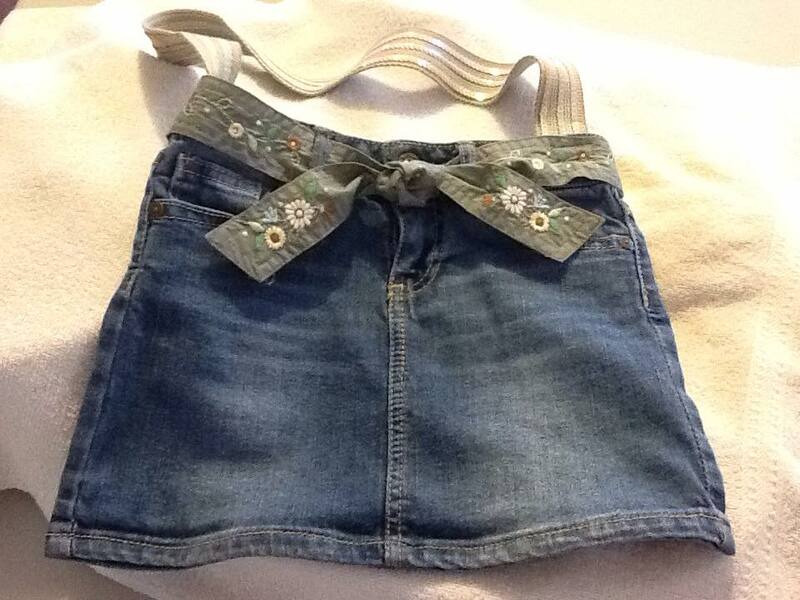 A LITTLE BIT EAST: Denim with Asian-style design on strap. Measures 8 x 14 1/2. 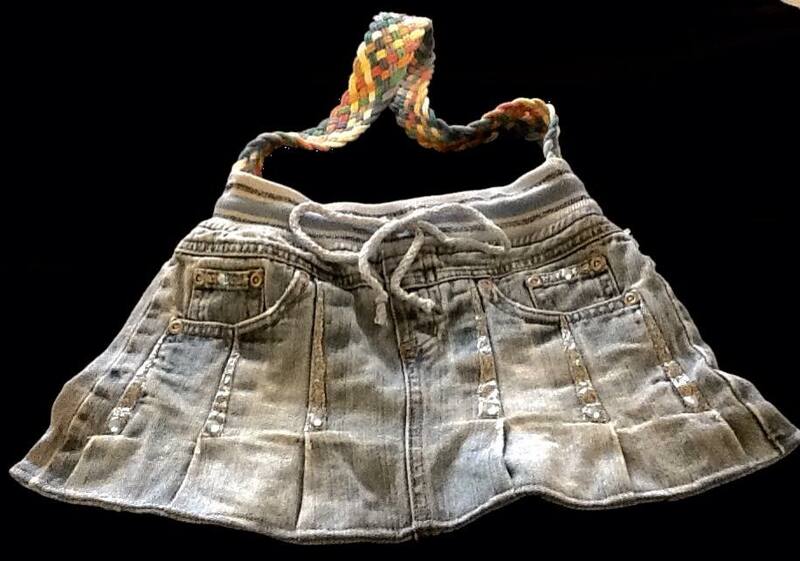 ALL THAT GLITTERS: Denim with glitter and woven silver strap. 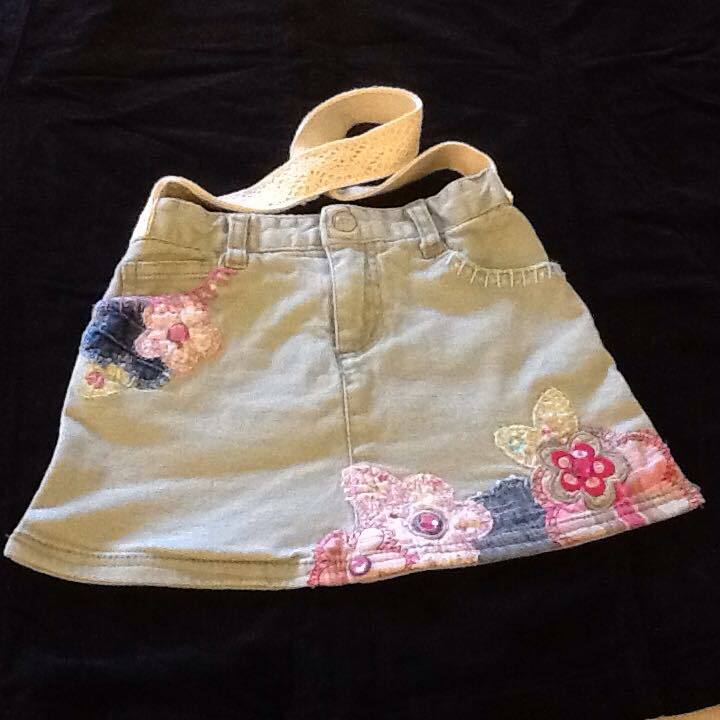 Measures 10 x 14 1/2. 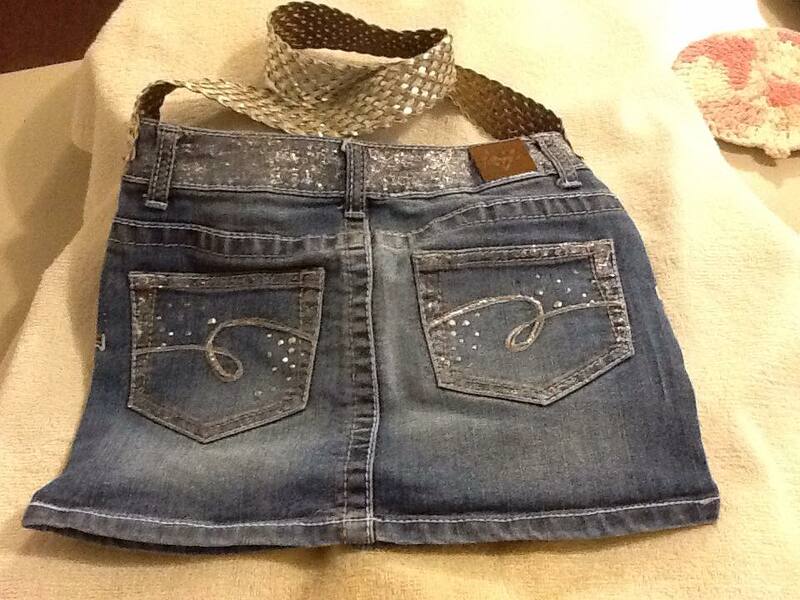 LET IT SHINE: Denim with floral trim and sequin strap. Measures 10 1/2 x 14 1/2. 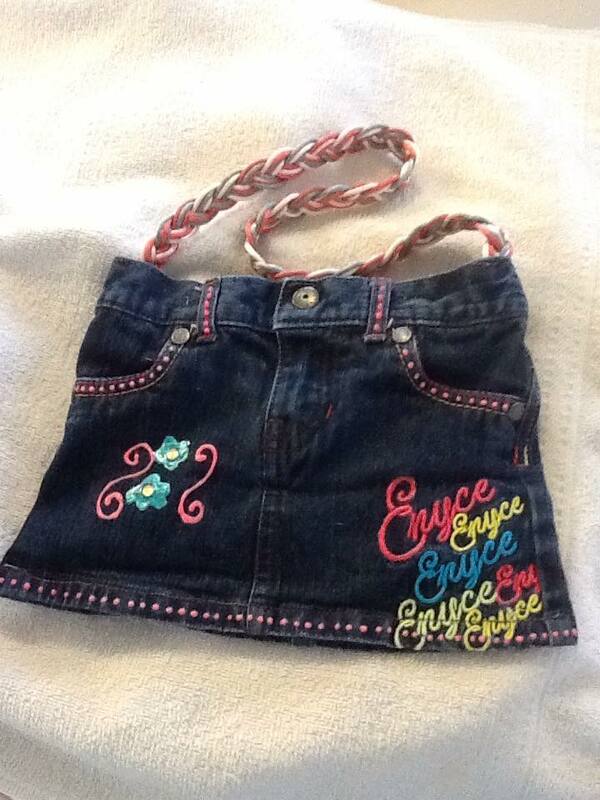 TINY LITTLE THING: Denim with Enyce Logo and braided strap. Measures 7 x 11. 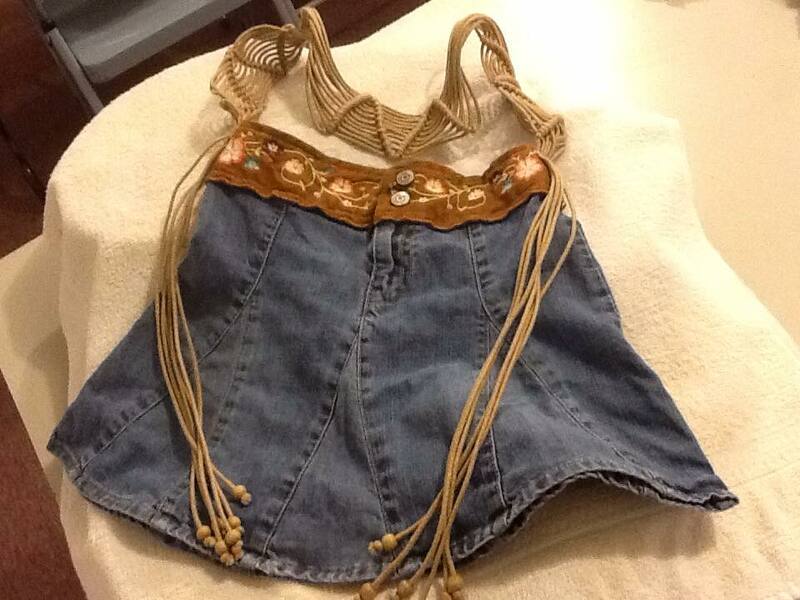 LITTLE HIPPIE: Denim with floral and fringed macrame strap. Measures 13 x 20. 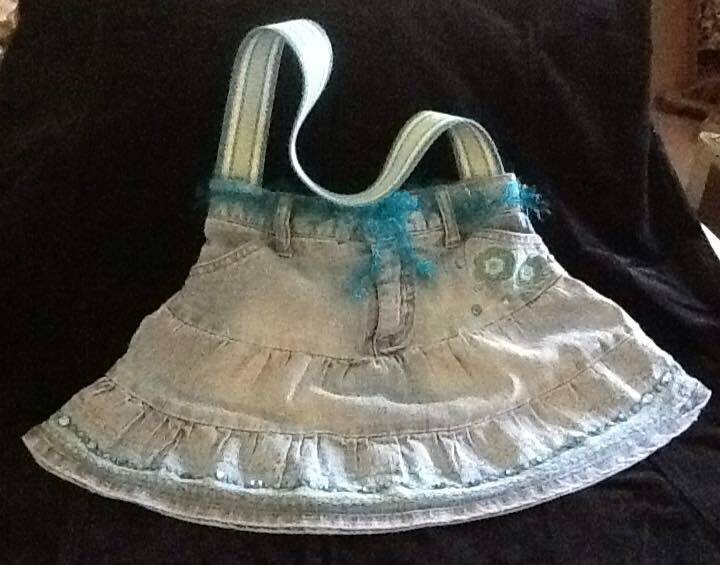 SOFT SUMMER DAY: Denim with butterflies and soft blue straps. Measures 9 x 16 1/2. 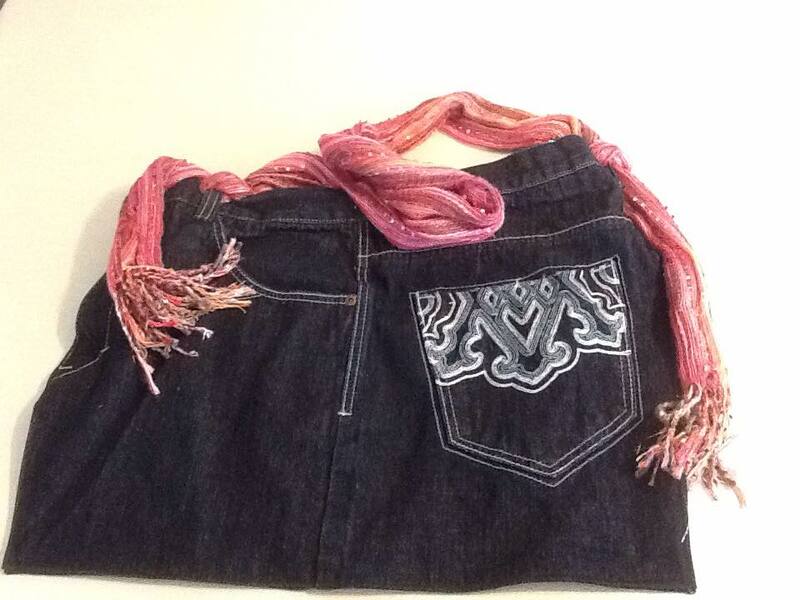 GONE BAGGY: Dark denim with changeable scarf strap. Measures 14 x 20. 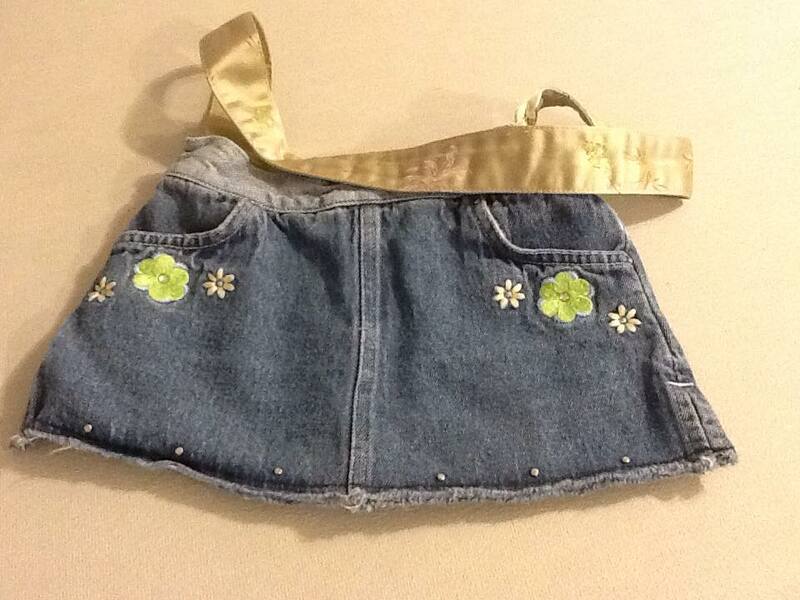 GREEN GLITTER: Denim with green gems and fringed, embroidered strap. Measures. 10 1/2 x 13 1/2. 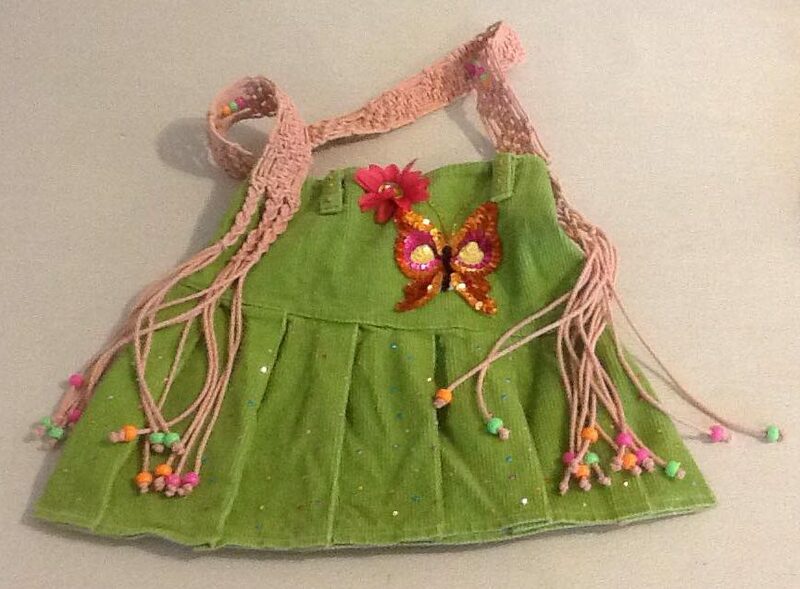 BUTTERFLY CRAZY: Green corduroy with fringed macrame strap. Measures 9 1/2 x 14. 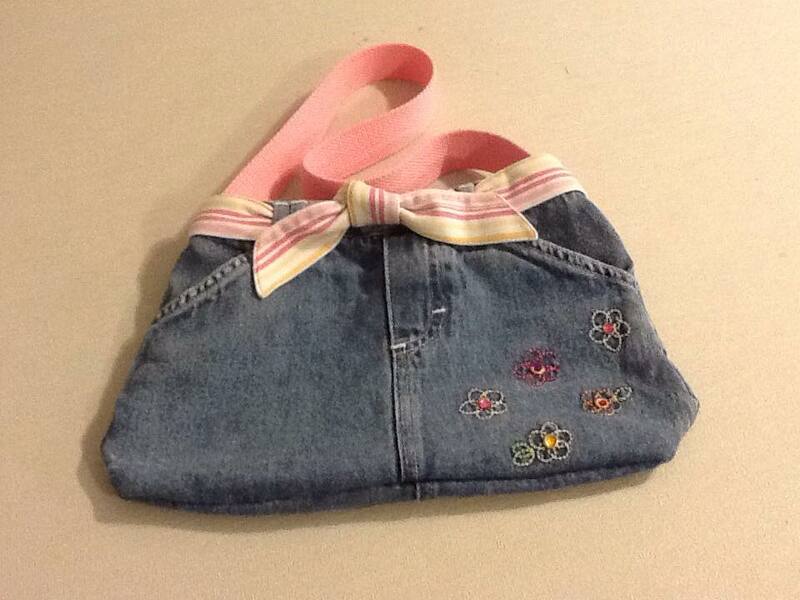 BAG OF FLOWERS: Denim with pink stripe trim and pink strap. 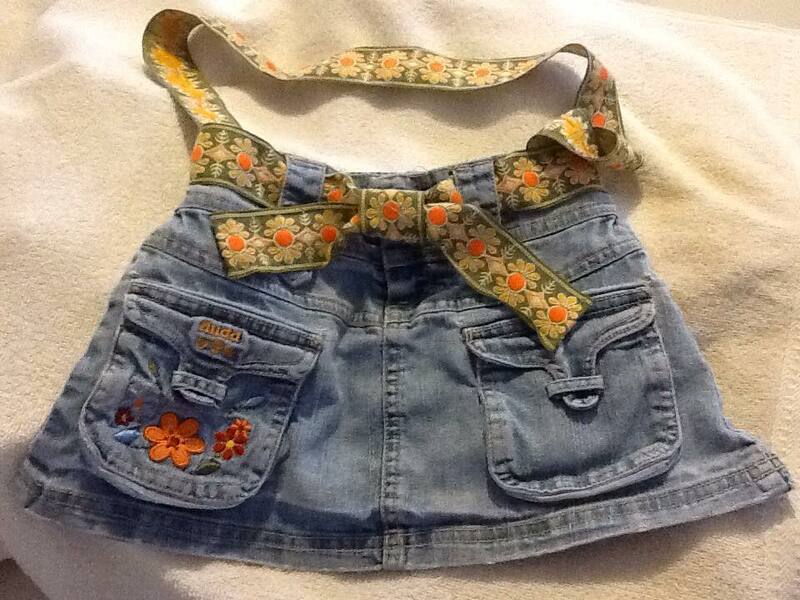 FLOWER GARDEN: Denim with vintage trim and strap. Measures 16 x 18. 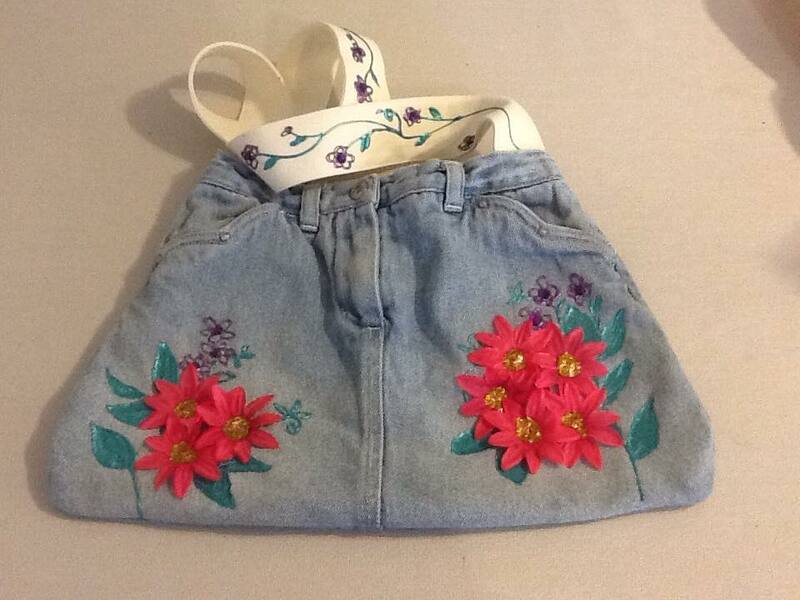 FLOWER CRAZY: Denim with 3D flowers and jeweled strap. 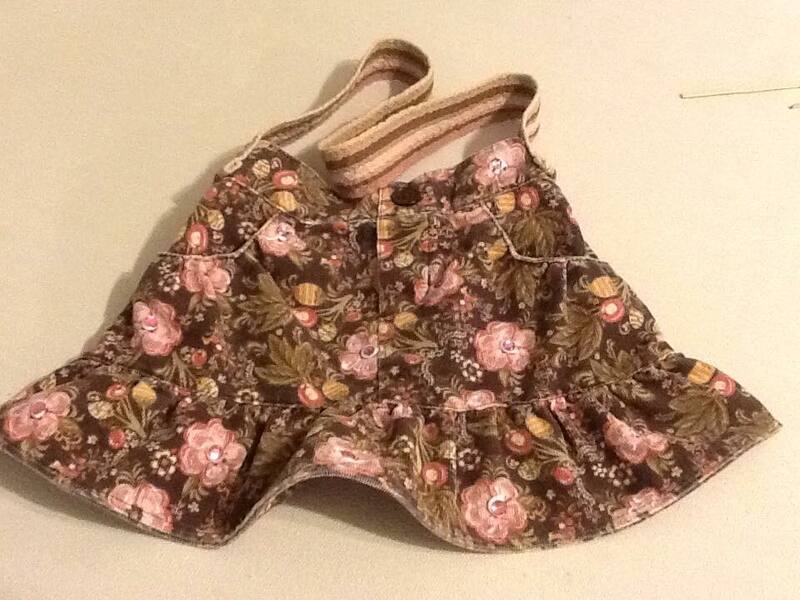 SPARKLING ROSIE: Floral corduroy with woven strap. Measures 10 x 14. 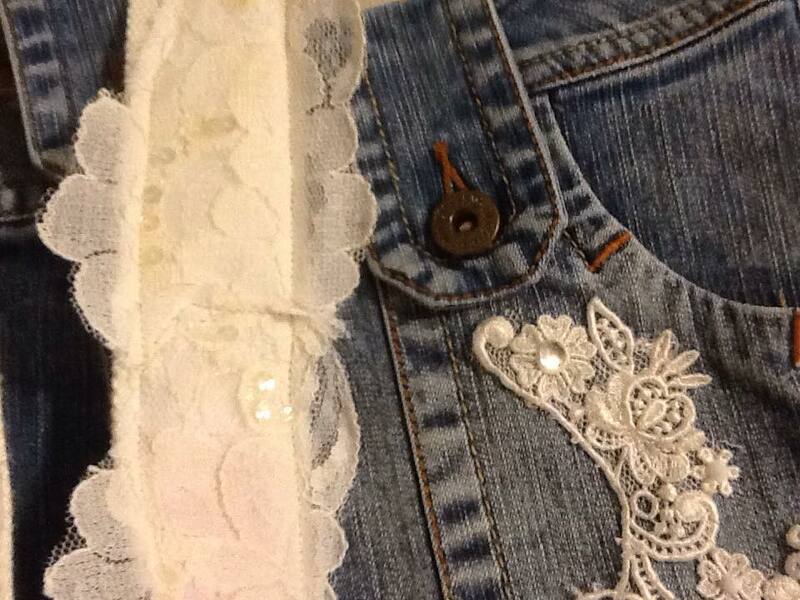 PATCHWORK & LACE: Sage green denim with gem & floral patchwork and lace strap. Measures 10 x 15. 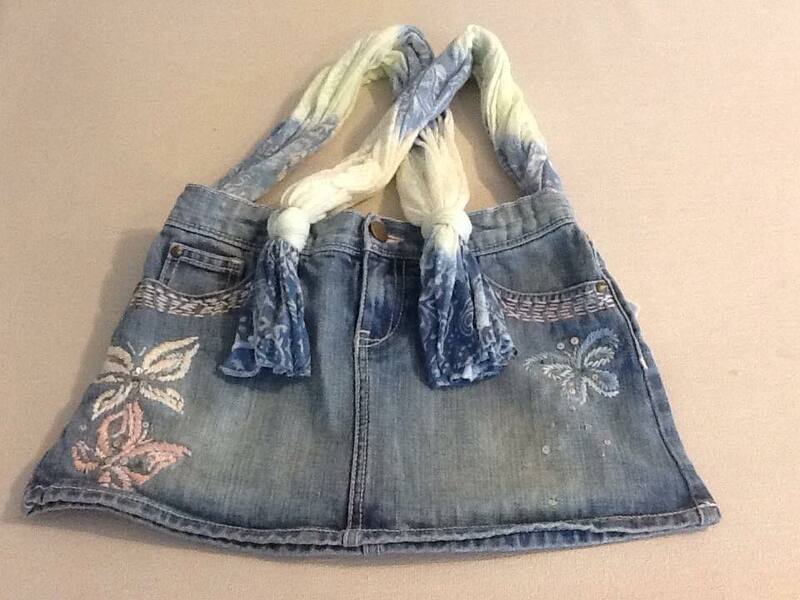 SHOOTING STARS: Denim with glitter, blue gems and braided strap. 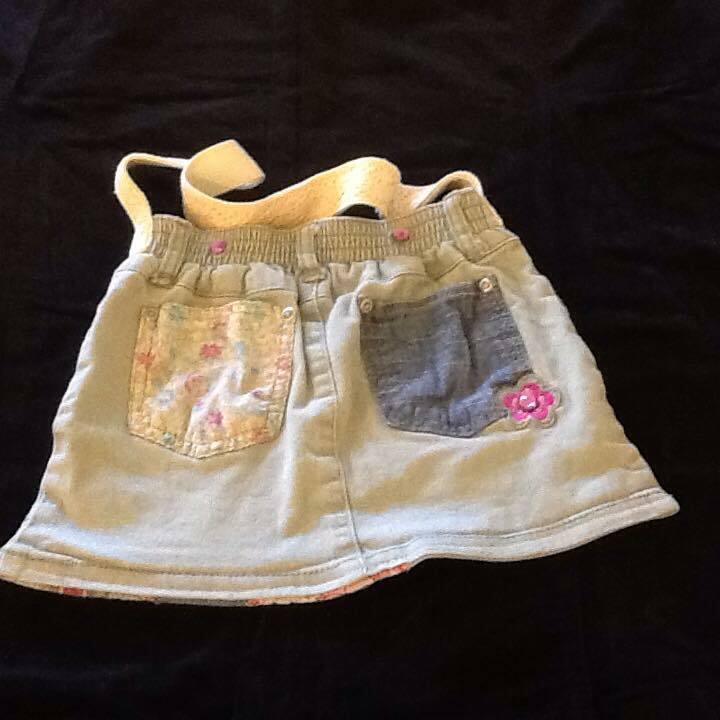 Measures 10 x 17 1/2. 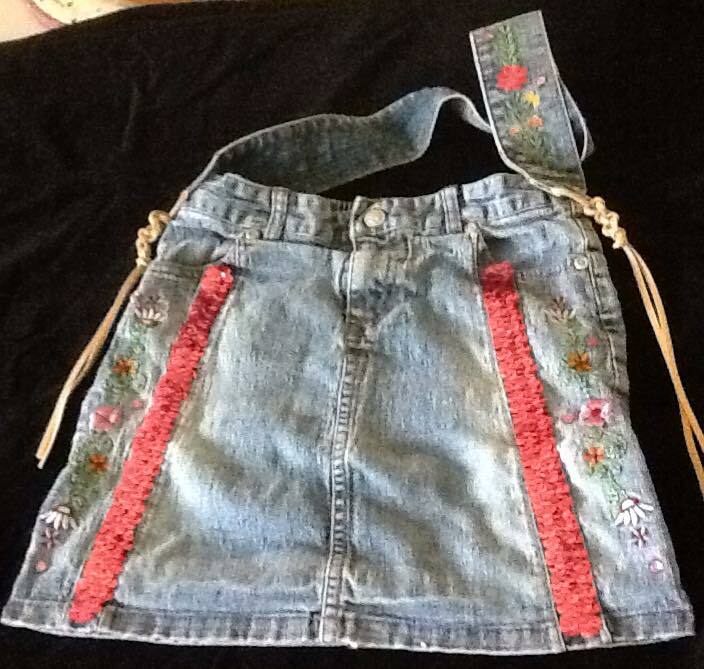 HIPPIE GONE GLAM: Denim with flowers, gems & sequins and fringed strap. Measures 10 x 14 1/2. 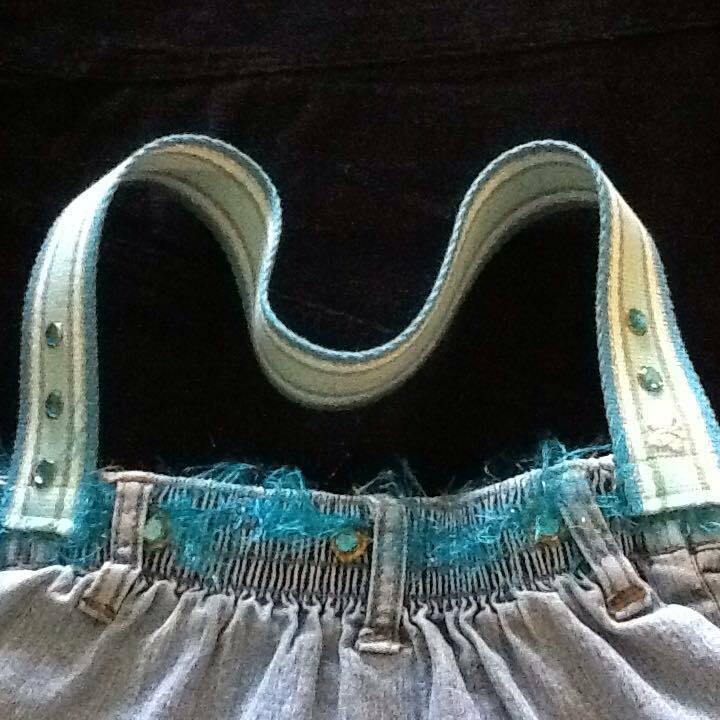 TURQUOISE BEAUTY: Denim with gems and frills and woven straps. 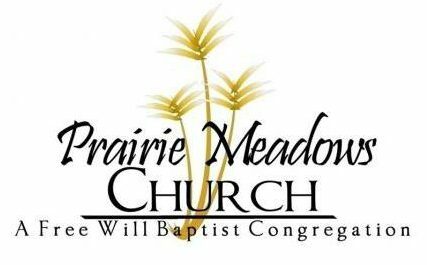 Measures 10 x 14 1/2.